Welcome to Sea Hunt Scuba The Premier Scuba Diving Center in St. Augustine and Jacksonville, Florida. Whether you are a resident of Northeast Florida or are visiting from out of town, check out Sea Hunt Scuba! We proudly offer a variety of scuba diving classes and certifications through our Professional Association of Diving Instructors (PADI) courses. Our scuba diving lessons and dives will enhance your enjoyment of Florida's freshwater springs and saltwater reefs as well as enabling you to later explore diverse bodies of water and marine life around the world. There is no better place to begin this journey than with Sea Hunt Scuba. 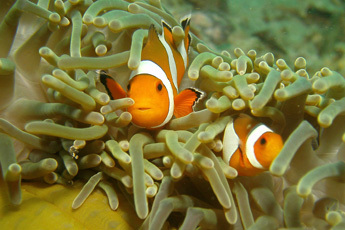 Contact us today to find out more about our vacation dives and certification courses. Instructors Steve Bohanan and Curtis Deyo have over seventy years of combined certified diving experience, and have each been instructing for over twenty five years while broadening their own diving expertise. Curtis Deyo additionally has over thirty years as a repair technician of scuba equipment. Each employee of the facility and dive shop has a wealth of diving experience so you will always be surrounded by quality advice and guidance, whether you’re shopping for scuba gear, bringing some tanks in for diagnostic testing, or taking a class in technical diving. Sea Hunt Scuba proudly serves St. Augustine, Jacksonville, Palm Coast, Palatka, and Green Cove Springs FL with professional scuba diving instruction, classes, scuba diving certification, equipment and much more. Browse through our site and check out some of our instructors, dive schedule, vacation dives, dive charters, equipment and our summertime scuba camps. No matter your experience level or schedule, Sea Hunt Scuba will make sure you have a pleasant experience each and every time you hit the waters with us! Thank you for visiting Sea Hunt Scuba Dive Shop, your number one scuba diving center proudly serving St. Augustine, Jacksonville, Palm Coast, Palatka and, Green Cove Springs Florida. If you have questions about our dive shop/scuba center or any of our scuba diving classes, feel free to give us a call at 904-824-0831 or send an email to Info@SeaHuntScuba.com. Check back to our website often for updated information on our services, news, promotions and more! 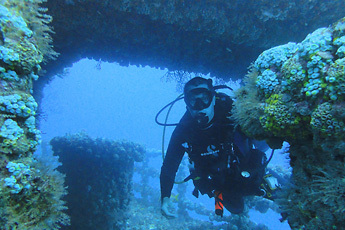 PADI is the world's largest Scuba Diving Certification agency. All the other dive certification agencies combine are less than a third the size of PADI. Sea Hunt Scuba is North Florida’s 5 Star PADI Dive Center / Scuba Center. For those in Jacksonville seeking scuba lessons, a short trip south to St Augustine is more than worthwhile. 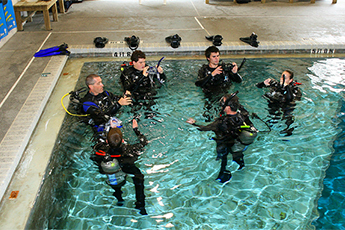 The instructors and staff of Sea Hunt Scuba are extremely passionate about continually exploring various underwater locations around Florida as well as internationally, frequently hosting organized trips all over the world as well as our own back yard. Day and weekend dive trips to South Florida and around the state take place a few times per month. Begin classes now to be able to join them on one of the biannual international scuba diving trip, such as Australia, the Pacific Islands, & the Caribbean.